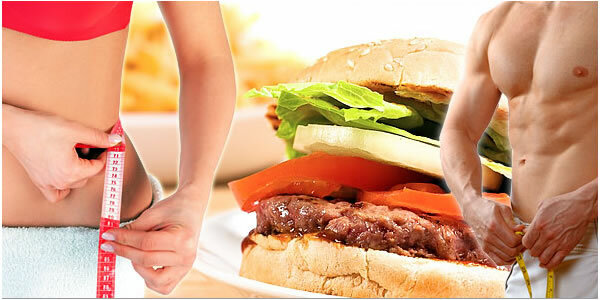 As with any habit, bad nutrition and diet habits can be difficult to break. Most habits start small and progress to being part of your everyday life without you even realizing, so it is important to sit back and take an objective view of your diet every now and again. Bad dietary habits can have negative effects on your health, weight and well being in both the short and long term, so now is the time to nip those bad habits in the bud and start along the path to good habits for better health. Habits often become habits before you have even realized it. What may have started as a one-off chocolate bar at three in the afternoon to stave off those afternoon munchies may quickly develop into an everyday occurrence, which is naturally likely to have an effect on your weight. To be able to break a bad habit and make changes for the better, you need to be able to identify what your bad habits actually are. One of the best ways of doing this is to keep a food journal of everything you eat for a few days, including some weekends and weekdays as keeping a visual record of what you are eating can help you to see any unhealthy patterns that may have developed and also to be more aware of what you are actually eating and when. Many bad habits develop for a reason and to be able to break the habit you need to figure out why you do it and what you can so to avoid these situations that have led to your bad habits. Many people, for example, will have a glass of wine to unwind after a hard day’s work, which overtime may have turned into two, three or even more glasses. This habit is not good for your health, contributes a lot of empty calories and could lead to potentially more serious problems, so why do you do it? If the answer is stress, think of ways to minimize this or different ways to unwind after a tough day, such as a long bath, reading a good book or having a massage after a long week. When you look at your diet it may seem that there are many problem areas and bad habits that have crept in over time. So as to avoid being overwhelmed by all the changes that need to be made, pick one or two that you consider to be the most important to your health, or even a couple that you consider easier to break. By starting with a smaller number of goals that are not too difficult to accomplish, you give yourself the best chance of achieving them and this will motivate you to make more changes. It is all very well deciding which habits you need to change, but in order to actually make these changes you will need to have at least an idea of how to go about it. A plan is a very useful tool as you have thought about how to deal with a situation before it happens, meaning you are less likely to give in to the habit when the time comes. For example, if you normally get an unhealthy vending machine snack in the afternoon, think about how you are going to avoid doing this. You could organize yourself to bring a healthy snack from home as a replacement, or even get out for a short walk at the time you normally eat, but however you choose to avoid the vending machine, a plan of what you are going to do can be incredibly useful in breaking the habit. Bad habits can be detrimental to your health and weight, but good habits can be the opposite. So why no replace some of your bad habits with good alternatives at the same time as breaking the bad ones? Replacing one habit with another can also make it easier to break the old one, so there are really no down sides. Swap you afternoon tea biscuit for a piece of fruit or a small handful of unsalted nuts. Start your day with a proper breakfast that is high in fiber, protein and low GI carbohydrates instead of eating on the run or grabbing a donut on the way to work. Satisfy a sweet tooth with dried or fresh fruit instead of chocolate or candy.